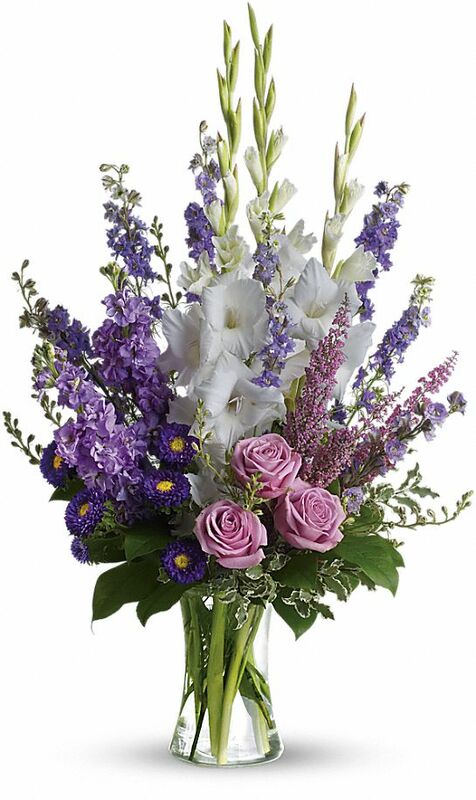 Provide comfort for the family of Diane Johnson with a meaningful gesture of sympathy. Diane D. Johnson, 80, of Fayetteville, passed away Sunday, March 31, 2019. Born in Syracuse on April 18, 1938, she was the daughter of Donald and Violetta Dunham. She was employed with Bell Telephone, Chappells and Bon Ton. Surviving are her husband of 60 years, Richard; and two sons, Lee Johnson and Eric Johnson. Calling hours will be April 5, 2019 from 10am to noon at the Eaton-Tubbs Fayetteville Chapel, 7191 E. Genesee St., Fayetteville. A service will follow at the funeral home at noon. My sympathies Uncle Rich. Hope you're doing well and that your memories will offer you comfort in this time of grief. John Dobbertin, Charles Darrow, & Scott Dunseath purchased flowers for the family of Diane Johnson.